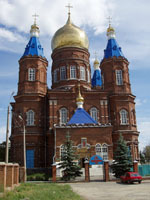 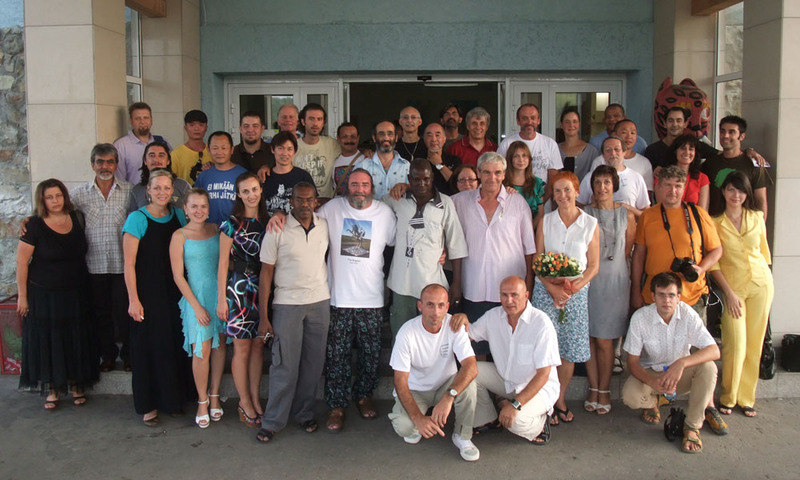 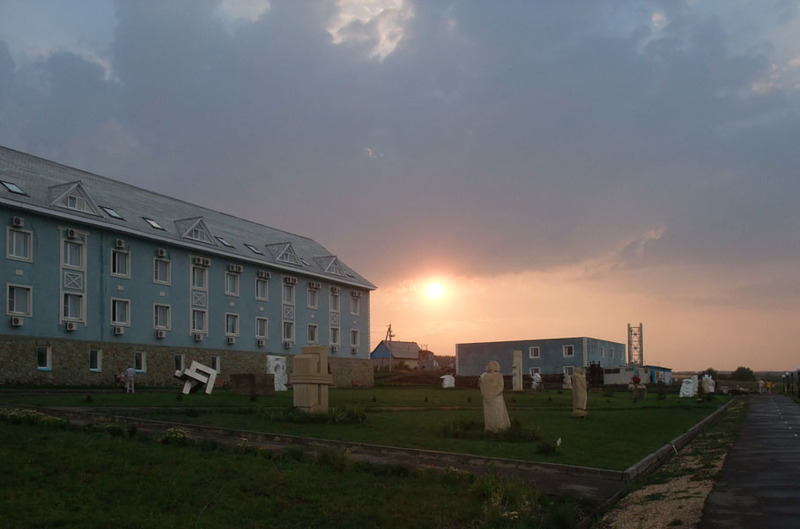 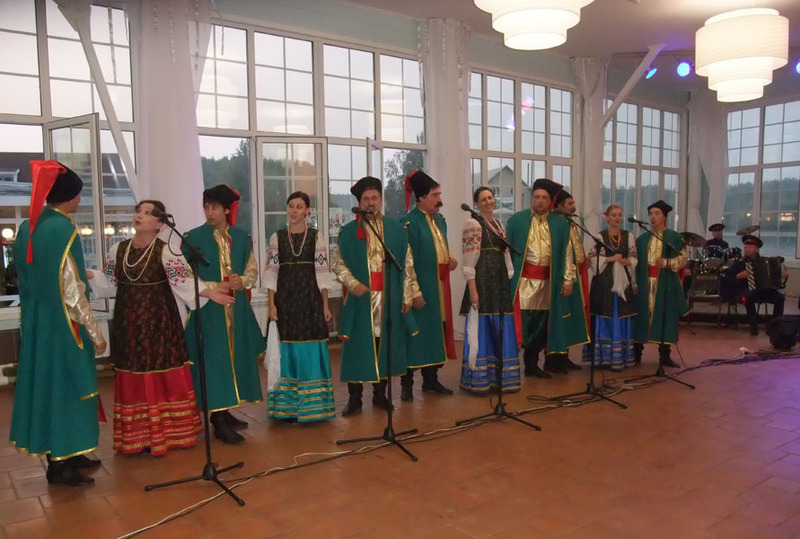 The hotel "Chistie Prudi" near Penza city , about 650 km. 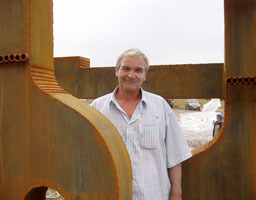 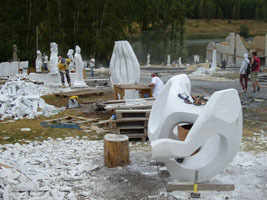 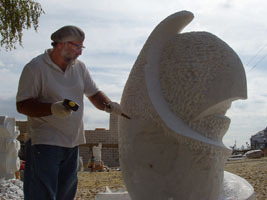 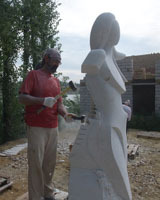 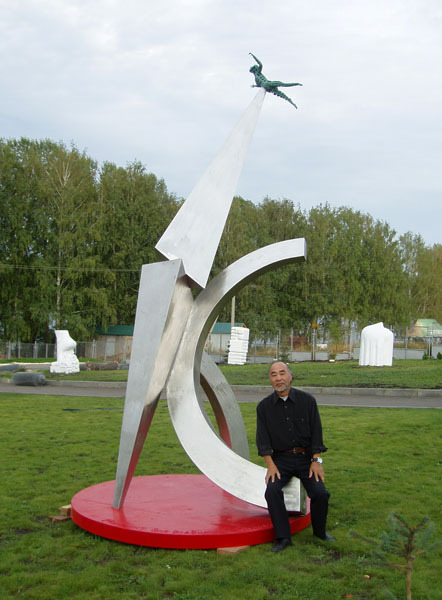 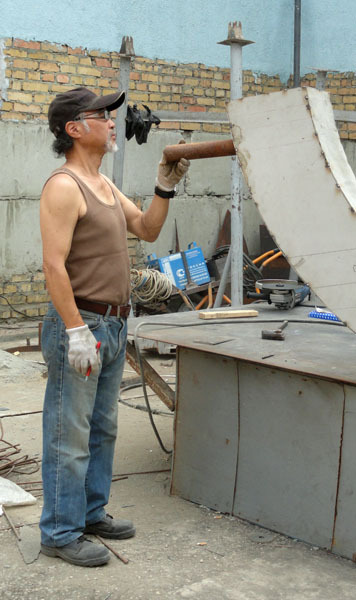 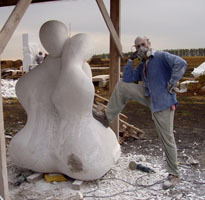 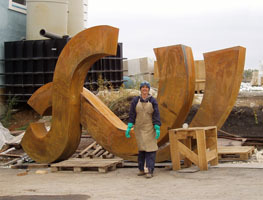 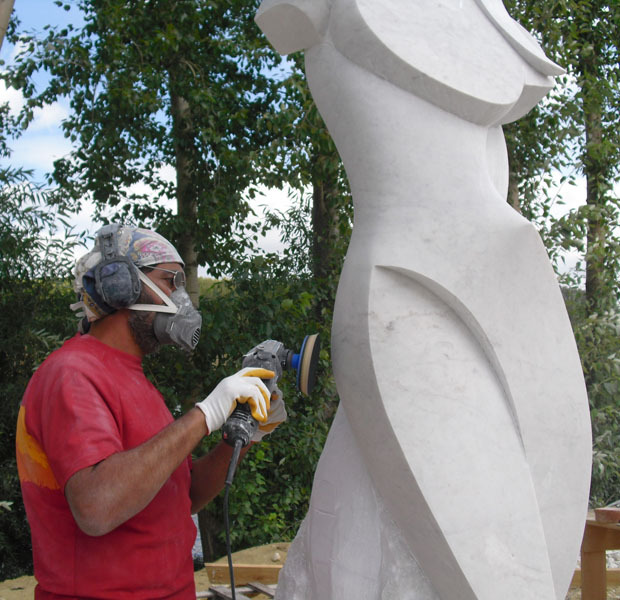 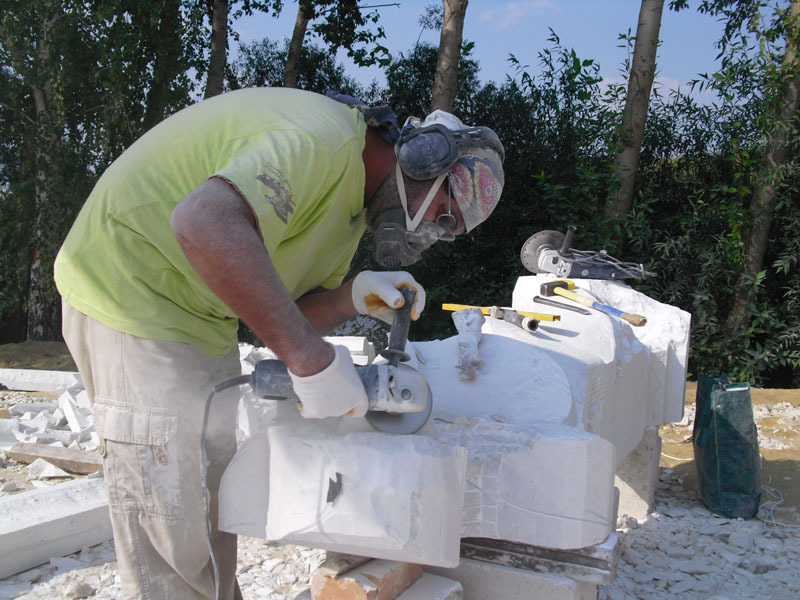 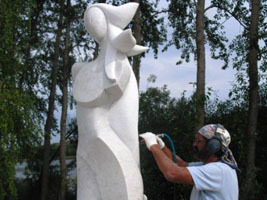 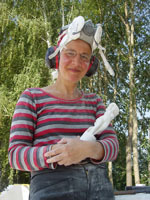 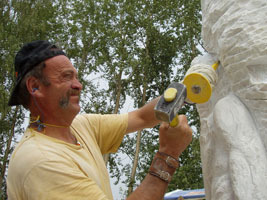 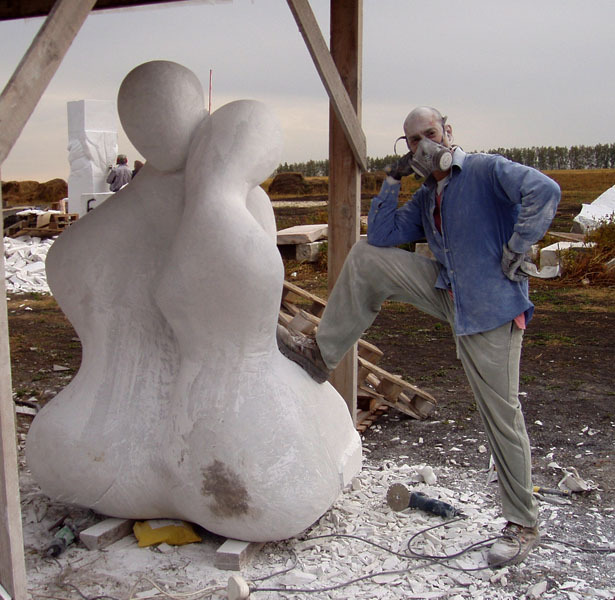 south of Moscow, organized the third international sculpture symposium, to be made in different materials: marble, wood and metal, which adds this year also the work of painters from different countries. 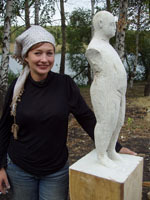 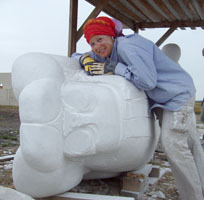 The hotel has a tour by a park where the people can admire about 120 sculptures made in three years. 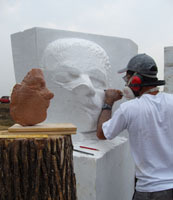 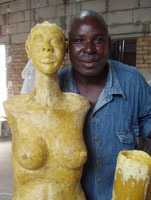 More than 500 projects submitted, 30 sculptors were selected and 10 painters. 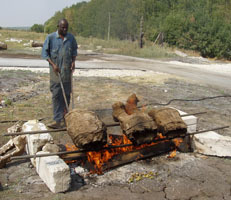 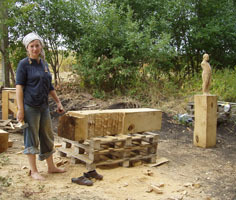 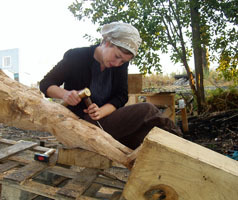 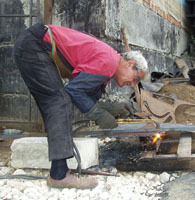 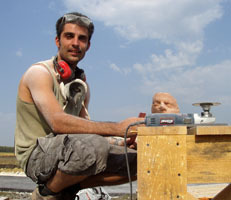 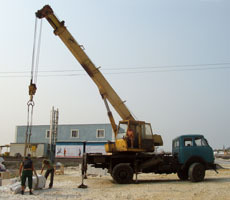 Work Period: From August 10 to September 2, 2010. 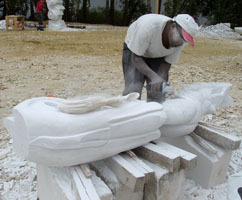 The theme for this year remains "Myths and Legends." 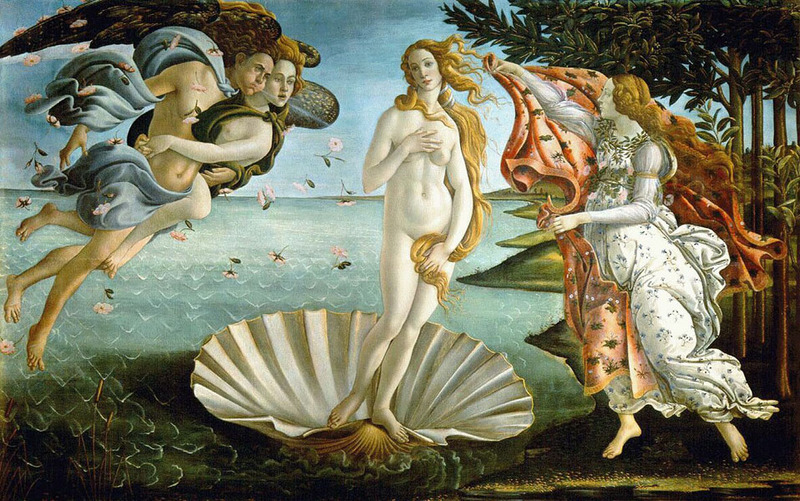 My project made "Birth of Venus" is a personal styling Botticelli's famous painting, exhibited at the Uffizi museum in Florence, known worldwide as one of the most beautiful paintings of the Italian Renaissance. 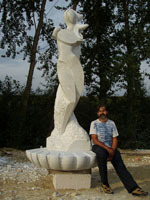 Venus, born from sea foam, is driven to the coast surfing on a shell, is moved by the blowing of Aeolus, with those characteristic wavy hair to the wind. 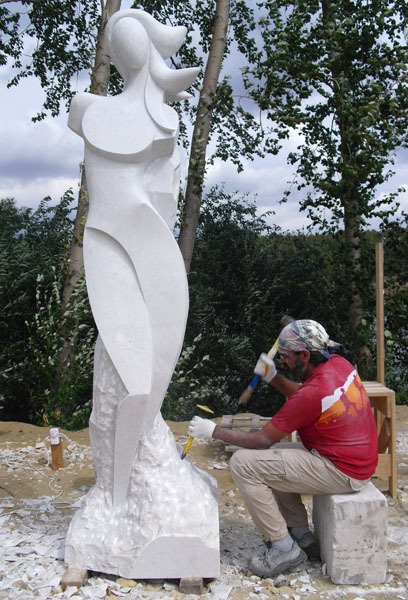 I highlight here the sensuality of the figure, increasing the position of "contraposto" and simplifying the stylization as a construction of planes, edges and curves. 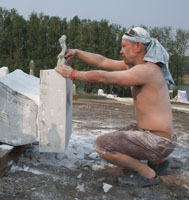 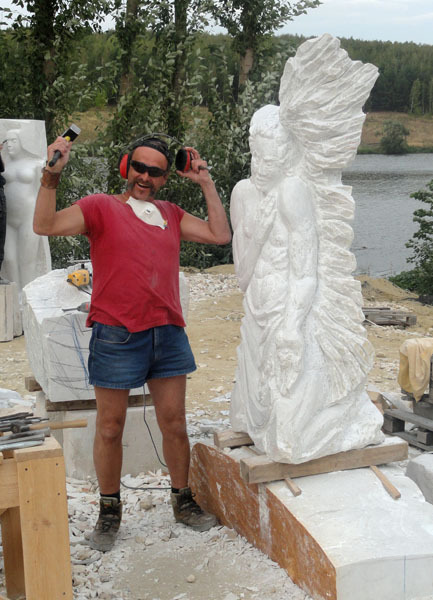 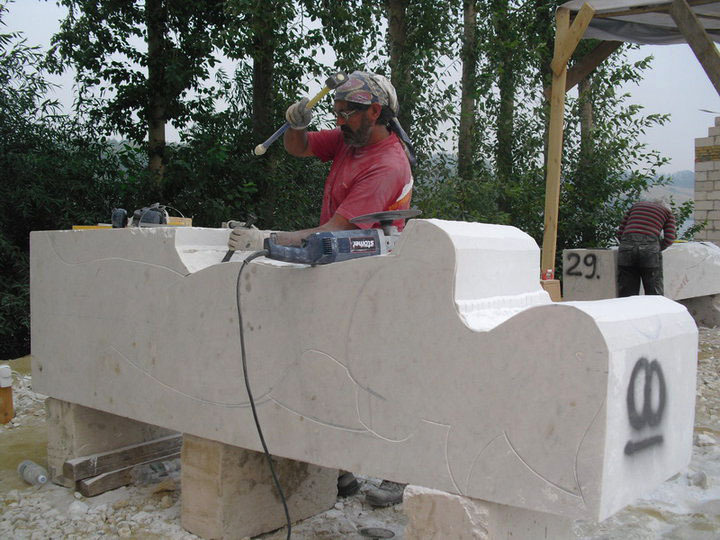 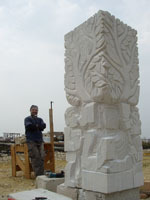 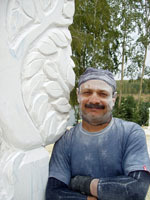 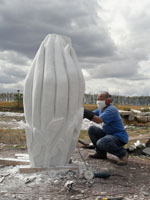 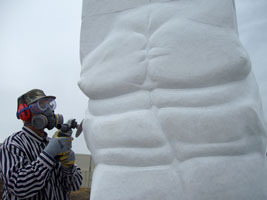 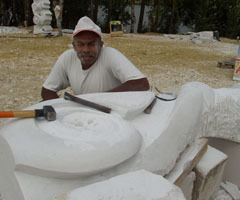 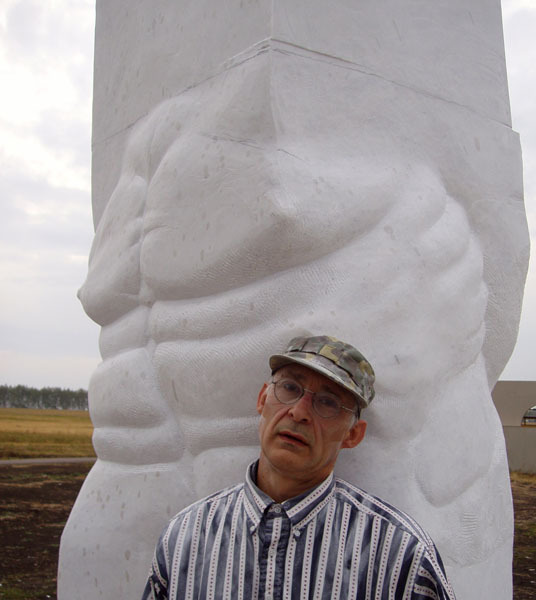 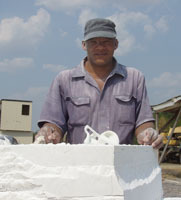 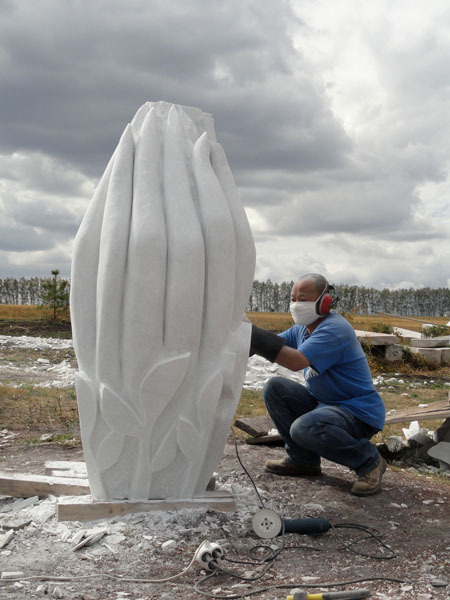 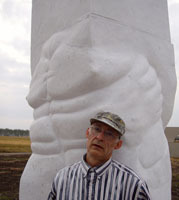 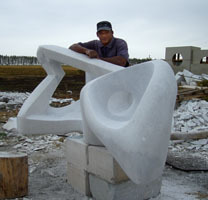 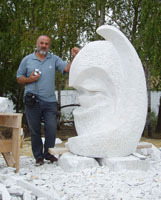 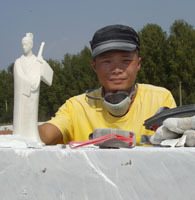 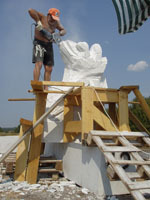 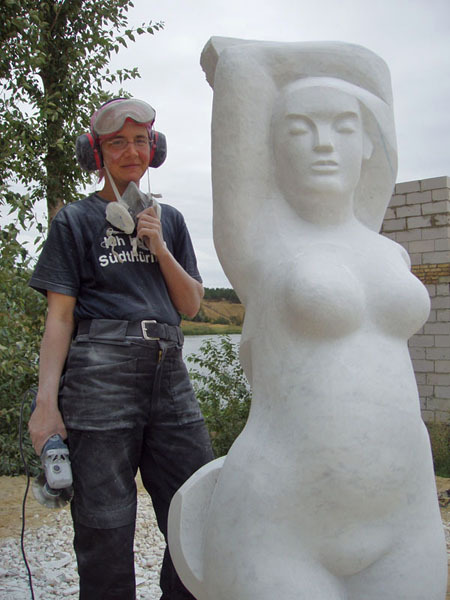 White marble carving made from Ukraine, 3.2 meters high. 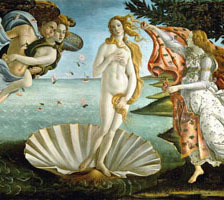 Pedro Jordán, "Nacimiento de Venus"